Once again, we organised an additional pre-conference day of activity for international delegates, which took place on Wednesday 22nd March 2017, in the historic city of Stirling. Read the Twitter 'Storify' for a flavour of how the day went. It was a chance for international delegates to get information and perspectives on quality in Scotland, helping them to better understand the content of the conference’s proceedings as well as meet fellow international guests. 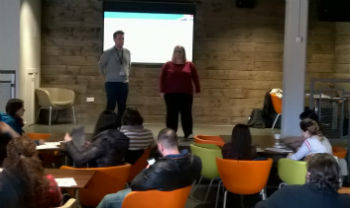 Stirling University Students’ Union hosted the event at their Stirling campus, and introduced us to some practical examples of student engagement in quality at the university and how they worked in partnership with staff on a variety of course, university and national level activities. There was also a presentation from sparqs, exploring our work in Scotland and internationally. Both presentations demonstrated how the work and representative structures articulate with Scottish quality mechanisms. The day was attended by over 30 delegates from a variety of countries, some of whom we have worked with recently, including the USA, Portugal, Ireland, Belgium, Norway, Australia and New Zealand. There were over a dozen delegates from ESPAQ, the project on developing student engagement in Armenia in which we are a contributing partner. Delegates took much away in terms of how students are engaged in quality at the university, including the student-led teaching awards, online course rep training and other key quality projects. A guided tour of the university campus was also a chance to see how the student voice has contributed to the development of the university’s physical estate and learning resources. The day was also a chance to get a bit of Scottish history courtesy of a tour guide who accompanied us on the bus from Edinburgh to Stirling and then took guests around the historic Stirling Castle in the afternoon. In the evening, delegates were joined by guests from the Scottish education sector, where discussions continued around the learning of the day, which was rounded off with an evening of Scottish cuisine and traditional music. 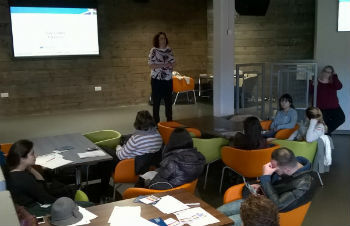 Many thanks to University of Stirling and the Students' Union for hosting the day, which was a great success!